It finally happened. We now have a toy car that is sustainable and actually helps the environment. 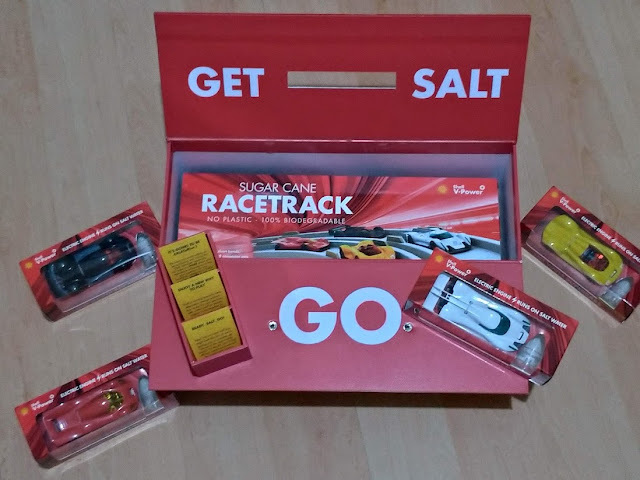 Jam-packed full of science, fun, and doing good- the new Shell Saltwater Supercars bring to the Philippines an exciting new toy concept and racing experience. Their most advanced collection of toy cars yet, Shell unveils its new Saltwater Supercar collection just in time for the Christmas season. Each model combines state of the art technology using electric engines powered by saltwater with a sleek and futuristic design. Each package contains 1 supercar, 2 lithium batteries, the salt and water mixer with dropper, and a user manual. Sure to delight kids and kids at heart alike, the toys are packed with special features to enhance both learning and play. 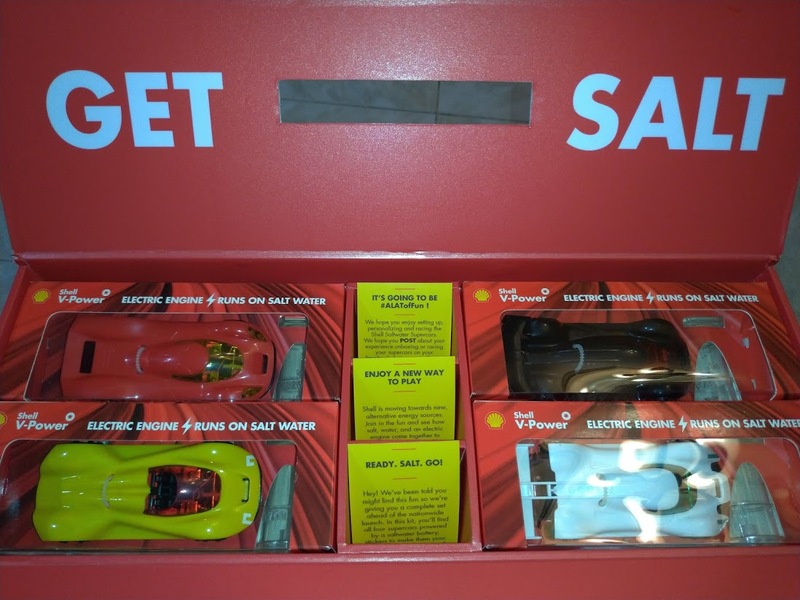 In powering up the Saltwater Supercars, children can witness firsthand an alternative source of energy in action. 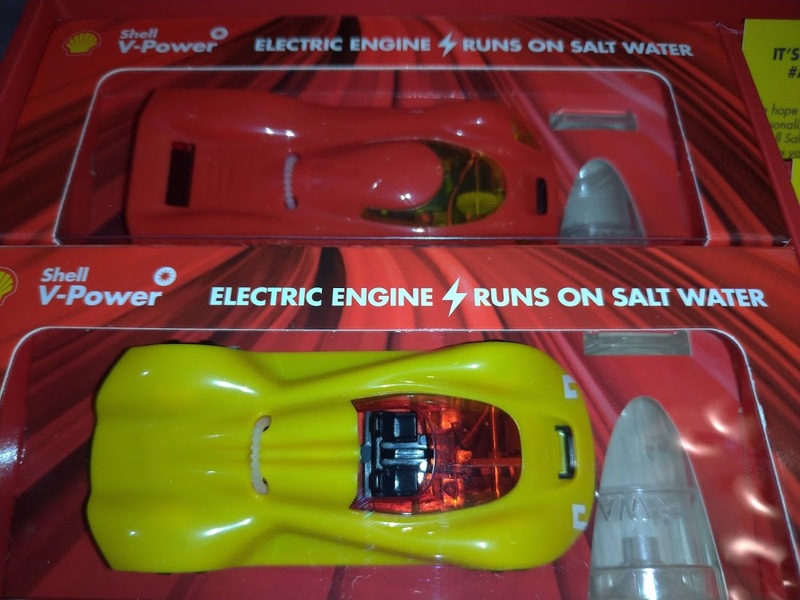 With a simple mix of table salt and water, a few drops will get the toy’s engine running and the Saltwater Supercar moving. “At Shell, we champion innovation and new energy solutions. 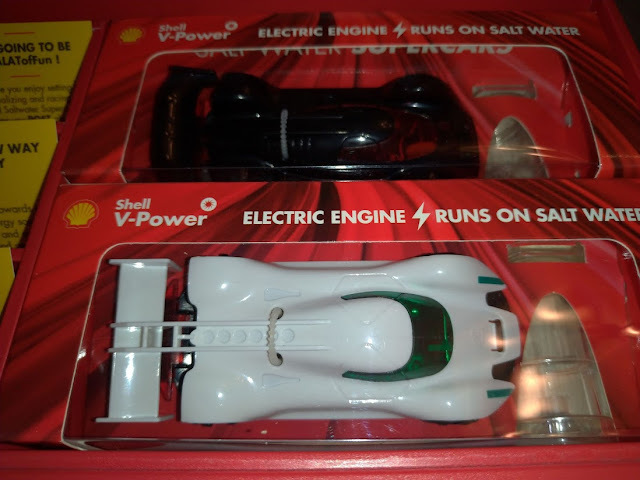 With the new Saltwater Supercars we hope to offer an elevated experience with toy cars, bringing cutting-edge technology to our loyal customers, and for all ages to enjoy,” said Mark Malabanan, Shell V-Power Brand Manager. To see the full unboxing, click below.